Description: Another adorable Pigeon story, where he doesn’t understand why HE doesn’t get anything he wants. A little Duckling helps him out (and himself) in the process. 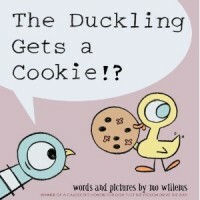 Why I like this book: Mo Willems never disappoints. I love the characters expressions (great for teaching body language) and the humor that keeps kids entertained while addressing some goals. 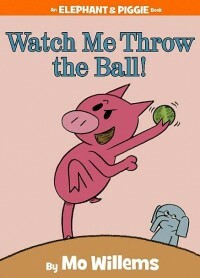 A great book to practice “Tone of Voice” with kiddos. Stress HOW you say something. Use voice recording apps like Quick Voice and have kids listen and analyze how the pigeon is speaking. Lots of examples of various vocal volume. Pair with the Incredible 5 Point Scale for understanding of various levels the Pigeon uses. Was his volume appropriate? 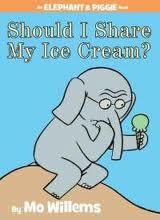 A great story to elicit question forms. Have kiddos formulate questions for the Pigeon. He states that he asks for many things (i.e to drive the bus, for hot dog parties, etc.). Have them generate how the Pigeon would ask? What words would he use? Who would he ask? Role play. Carry over the idea above for more perspective taking. Who would he ask? What might the person say back? Why? (i.e. asking a parent to stay up late- what might they say? Why?). Pair the 2 ideas above with a great post by Sean Sweeney M.S. CCC-SLP at Speechtechie.com on using fake texting to take both perspectives. Kids love it. 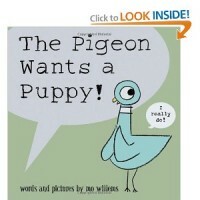 Click here for a funny YouTube clip of the Pigeon being interviewed about the book and title. 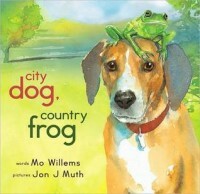 Mo Willems is involved. I use these Pigeon books for my more advanced kiddos with Childhood Apraxia of Speech (CAS) to work on stress patterns for prosody. Lots of examples of increasing stress on words, or changing intonation patterns to demonstrate questions vs. comments. Again, you can use the voice recording to help with understanding. Title: Watch Me Throw the Ball! Description: A clever multi-level story about the pure joy of throwing a ball regardless of skill and how to support a friend, keeping unnecessary competition out of the picture. 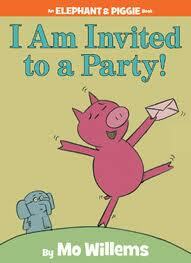 Why I like this book: Elephant and Piggy are true friends who enjoy and sometimes annoy one another. They show off at times and also learn from each other. I love the many aspects of friendship that are represented in this book. It also depicts the importance of having fun in a motor-based activity…even when you are not too skilled.